A US federal judge has junked new Trump administration regulations on birth control from applying across the entire country. 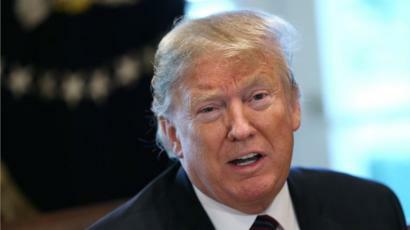 The decision comes amid federal government partial shutdown rooted in political standoff of Trump’s government and Congress leadership regarding the first wish for budget of Mexican border wall. The judge ruling allow employers and insurers to decline to provide birth control if doing so violates their “religious beliefs” or “moral convictions”. Meanwhile, the decision were to come into effect nationwide from Monday. Judge Wendy Beetlestone ruled that the new rules would make it more difficult for many women to obtain free contraception and would be an undue burden on US states, citing the decision. It can be recalled that about Fifty-five million women benefited from the original Obama-era rule, which made companies provide free birth control. C“It’s 2019, yet the Trump administration is still trying to roll back women’s rights,” California attorney general Xavier Becerra said.